GEORGETOWN, DE – The Bob Hilbert Sportswear Short Track Super Series (STSS) Fueled By Sunoco “blasts” into Georgetown Speedway next Tuesday, August 28. The fifth annual ‘Blast at the Beach’ presented by VAHLCO Racing Wheels turns the attention of Northeast and Mid-Atlantic race fans to the Georgetown banked half-mile track for an historical night. The cameras of MAV-TV will record the action for broadcast for the first time in series – and track – history. The ‘Blast at the Beach’ will be televised nationally on MAV-TV on October 10 at both 7 p.m. and 10 p.m. The night’s event is headlined by a 35-lap big-block/small-block Modified main paying $5,500 to win, $1,000 for 10thand $400 to take the green flag plus a plethora of special awards and bonuses. This is the fifth of seven events on the STSS Velocita-USA South Region, with $10,000 awaiting the champion at year-end. Currently, Waterloo, N.Y.’s ‘Super Matt’ Sheppard, a two-time South Region winner this season, sits atop the standings. He has never won a Short Track Super Series crown. Also on the card is the fourth of five STSS Crate 602 Sportsman South Region events ($1,000 to win for 20 laps), Delmarva Chargers and Delaware Super Trucks. Prior to the STSS Modifieds taking the green for their 35-lap main, drivers will participate in qualifying heat races and consolations. The top-two finishers from each of the heat races will draw for their starting positions in the 5-lap Jones Racing Products What Drives You® Dash. This Dash offers $500 to win, $300 for second, $200 for third and pays all participants a minimum of $50. Most importantly, the finish of the Dash sets the feature starting lineup. On top of the $25,670 first-to-last posted STSS Modified payout, lap leaders in the ‘Blast at the Beach’ 35-lapper will receive $10 each from Hurlock Auto & Speed Supply. A host of cash, certificate and product awards will also be up for grabs, not to mention Ray-Ban sunglasses courtesy of Design for Vision and Sunglass Central to the top-three finishers. 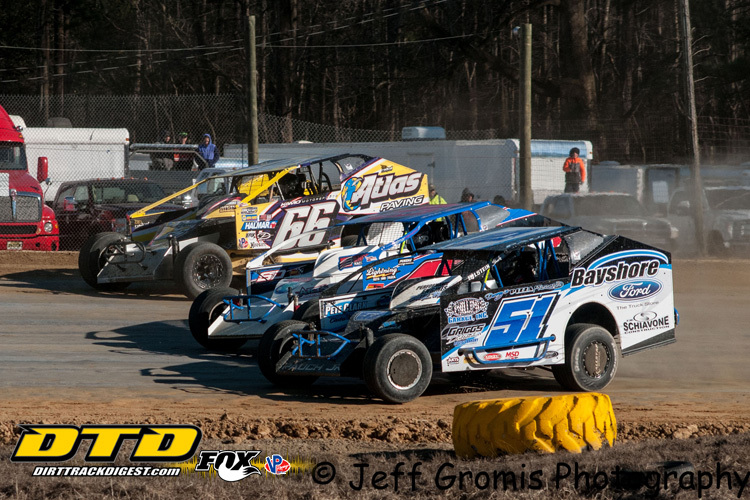 STSS Sportsman battle for a $1,000 winner’s share plus $10 to lead each lap thanks to Earth Movers LLC. Like their STSS Modified counterparts, Ray-Ban sunglasses will be distributed to the top-three finishers from Design for Vision and Sunglass Central! Delmarva Chargers (12 laps) and Delaware Super Trucks (12 laps) will each compete in feature events. On August 28, pit gates open at 4 p.m. Grandstand gates are unlocked at 5 p.m. Hot laps begin at 6:45 p.m. and racing gets the green flag at 7:30 p.m. Adult admission is $20. Seniors (ages 65 and up) and Students (ages 13-17) pay $16. Kids (9-12) pay $10. Children 8 and under are FREE. Pit admission is $35 for ages 13 and up (no license required). Kids 6-12 pay $10. Children ages 5 and under pay $2. There is a rain date for this event of Wednesday, August 29. Sponsorship support for this event comes from VAHLCO Racing Wheels, Melon 1, Jones Racing Products, Holly Hill Farms, The Farm Stand at the Givens, Scott Hitchens Enterprises, All-County Garage Door, Design for Vision, Sunglass Central, Hurlock Auto & Speed and Earth Movers LLC. The ‘Blast at the Beach’ is a co-promotion involving BD Motorsports Media LLC and driver Eric Kormann. Georgetown Speedway, originally constructed by Melvin L. Joseph in 1949, is located at the intersection of Route 113 and Speedway Road in Georgetown, Del., just miles from the Delaware beaches and less than a 40-minute drive from Ocean City, Md. 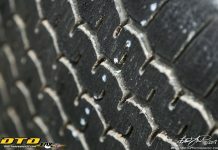 A website is live for the speedway at www.thegeorgetownspeedway.com. Like Georgetown Speedway on Facebook, follow @thegtownspdwy on Twitter, e-mail georgetownspeedway@gmail.com or contact the speedway hotline at 302.563.GTWN (4896). To learn more about the 2018 Short Track Super Series Fueled By Sunoco, visit www.shorttracksuperseries.com, e-mail bdmotorsportsmedia@gmail.com, check out ‘Short Track Super Series’ on Facebook or @ShortTrackSS on Twitter or Instagram. The Short Track Super Series is presented by American Racer/Lias Tire, Sunoco Race Fuel, Insinger Performance, Bob Hilbert Sportswear, Halmar International, Allstar Performance, ATL Racing Fuel Cells, Behrent’s Performance Warehouse, Beyea Custom Headers, Bicknell Racing Products, Dirt Track Digest, Fast Axle, Fox Racing Shocks, Henry’s Exhaust, Hig Fab, HyperCo, Kirkey Racing Fabrication, Land Hoe Maintenance, K&N, Precision Hydraulic & Oil, QA1, Race Pro Weekly, Racing Optics, Superior Remodeling, Teo-Pro Car, Vahlco, Velocita, Weld & Wilwood.